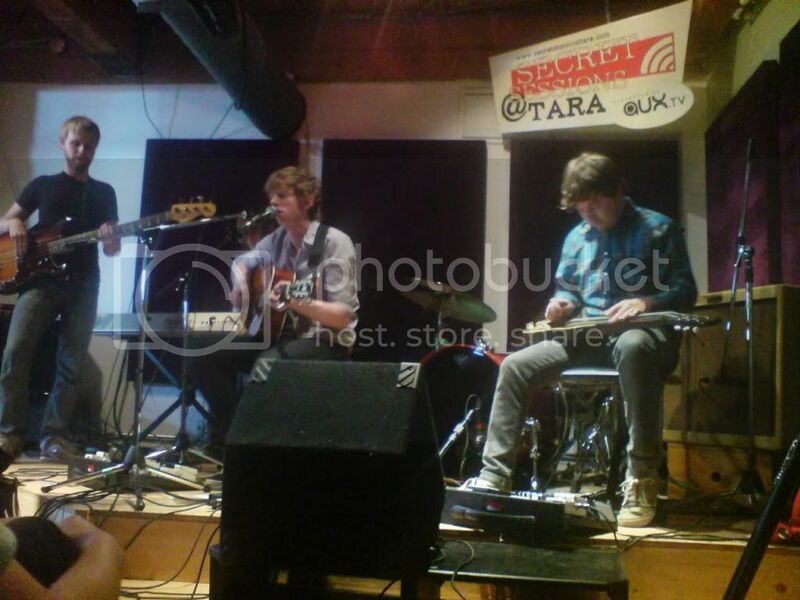 Last weekend we headed down to the TARA building on Queen Street East in Toronto to check out the Great Bloomers at the "Secret Sessions". TARA is a recording studio/academy located downtown Toronto. They've teamed up with AUX TV to put together some free intimate gigs for all music lovers. They've gathered some of the best indie talent to perform every Saturday afternoon for anyone who is willing to spare an hour out of their day and check it out. The Great Bloomers performance last weekend was fantastic. The crowd was chill and friendly and it was definitely a unique and rare experience. So come down, make your self comfortable, grab a drink, chat to some strangers and take in the music. All performances can be watched on Aux TV online. We'll be heading down to the Secret Sessions this Saturday for their NXNE show @ 3:30pm featuring Holler! Wild Rose, The Paint Movement and Josh Reichmann. We'll be talking to TARA as well as Holler!, and will be posting up those interviews for your enjoyment!